Black Eagle® Athletic 2.0 T High Side Zip - MOOSE SAFETY SUPPLY, INC. The Black Eagle® line is designed with your needs in mind. Combining running shoe technology with innovative functional features, Black Eagle® Athletic 2.0 T High Side Zip offer one of the lightest and most breathable boots out there. Made to be worn indoors or out, this boot is built for comfort and incorporates many unique features you didn't even know you needed. Designed for speed and constructed for durability, Black Eagle® Athletic 2.0 T High Side Zip has what it takes while you put them through their paces. The cushioning in the heel area will give you just the right amount of shock absorption while the strong spring-back material in the forefoot allows for the most efficient use of energy. And with built in pronation and supination support, your foot stays ideally positioned to keep weight distributed evenly throughout which is so important with regard to your foot health. 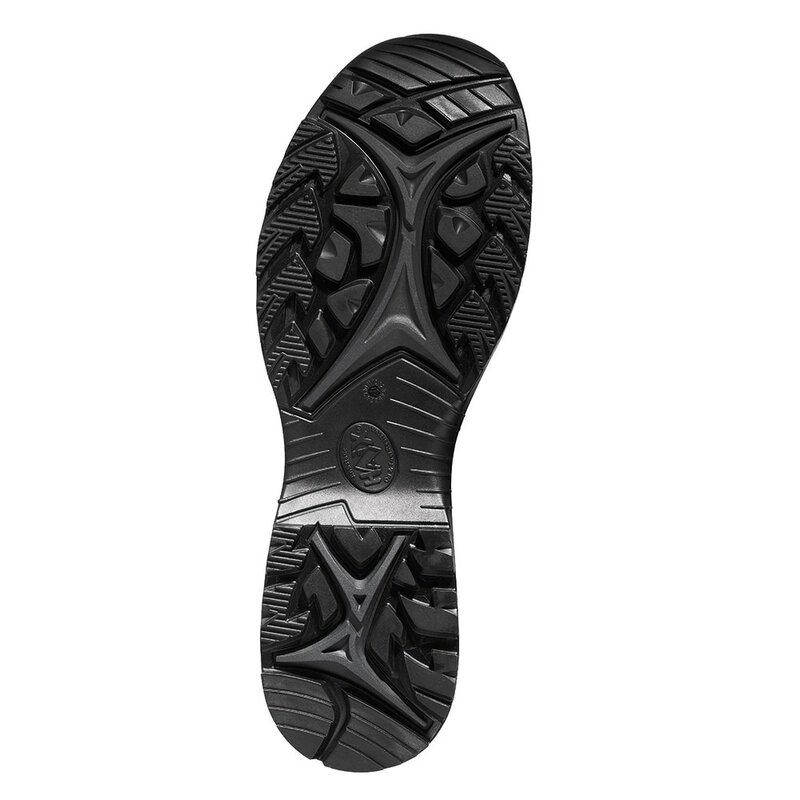 The long-lasting and durable sole of the Black Eagle® line incorporates a special rubber and tread design that provides excellent multi-directional anti-slip grip on many surfaces, even in wet or cold weather. What does multi-directional anti-slip mean for you? It means you can start, stop, and turn on a dime without worrying about losing your footing. The soles are resistant to oil and gasoline, are antistatic, and promises not to mark up your floors. 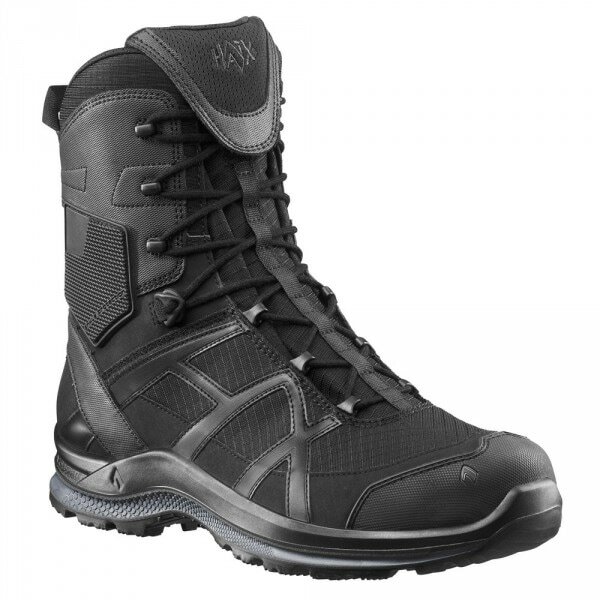 This boot is airport friendly since Black Eagle® Athletic 2.0 T High Side Zip is entirely metal free too. Black Eagle® Athletic 2.0 T High Side Zip features a super light microfiber design which is extremely breathable when paired with the built in HAIX® Climate System, your feet will stay comfortable indoors and out, even in hotter temperatures. The removable antibacterial insole also provides ample support and a cushiony feel for a comfort fit day in and day out. 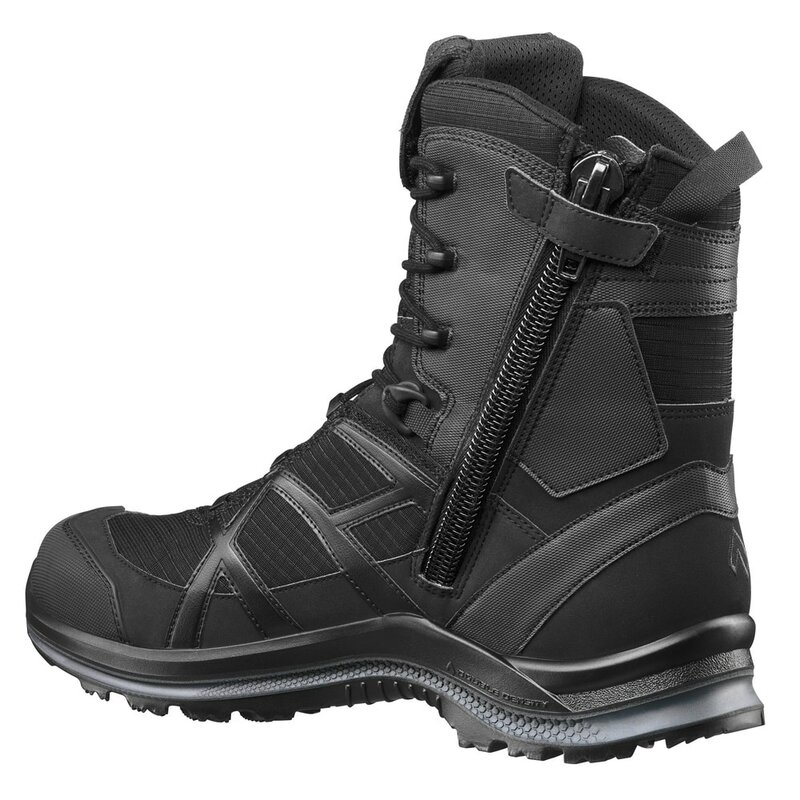 The patented 2-Zone Lacing Syatem allows independent adjustment between the upper and lower part of the boot, so you can get a fit tailored just for you. The addition of the built-in side zip allows you to fix it and forget it. Once adjusted, you have quick in and out convenience every time. We also added side pads which protects your sensitive ankle area from shocks and blows. After trying the Black Eagles, HAIX® may just be the last brand you'll ever buy.